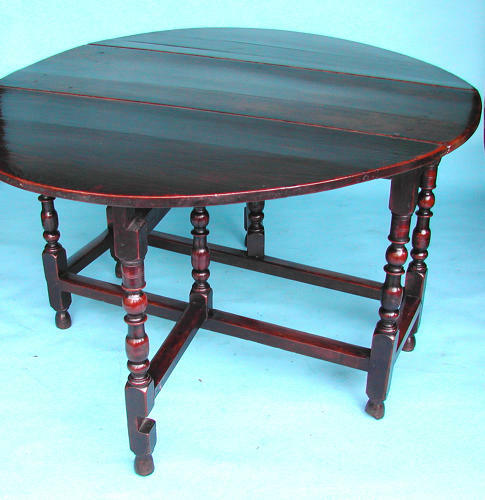 Antique 17thc Period Oak Gateleg Table. English. C1680-90. A superb 17thc Period Oak Gateleg Table, standing on baluster turned legs and original raised feet...it still retains the original hand made hinges and has a wonderful colour and patination.....this is one of the finest tables I have been fortunate to have purchased....it has a good provenance, having been sold by one of the top Oak Dealers in 1998 for £ 5,800.00...! ...I have the original receipt.